Serendipity is more than a fun word to say, it's a fun phenomenon to experience. 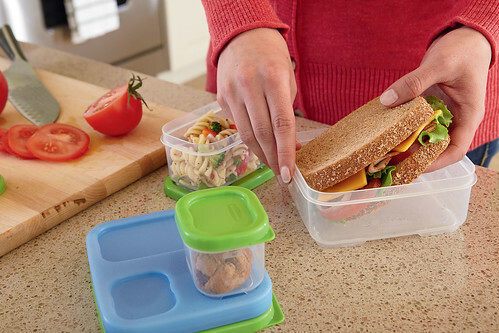 Here's the serendipitous part: a couple weeks later, I got an e-mail from the lovely folks at Rubbermaid asking if I would like to try out the new LunchBlox. Woo-hoo!...er, um...yes, please. Overall, it's a great product and at $12.99, roughly the cost of 4 boxes of ziptop bags, it's actually a pretty good value too. *I was sent a set of LunchBlox to review. All opinions and fascinations with healthy and happy guts are my own. Thanks Rubbermaid!